Safari | The Small Wave. Critique: It’s hypocrtical of Apple to introduce their own ads while putting an ad blocker in Safari 5. Safari Reader is not an ad blocker. To call it that is to misunderstand “reader” formatters, or ad blockers, or both. An ad blocker blocks ads. Not trying to be facetious, but that’s what it does. It blocks ads. They’re blocked. You go to a web page, and you do not see ads. Ads are prevented (you might say, “blocked”) from displaying. When you browse with an ad blocker, you go from page to page sans ads. Are we clear? A reader formatter doesn’t do that. You don’t browse with these. When you go to a page you see the same ads as everyone else. The ad impression is counted (for the content provider) and you’re free to click on any ad to view at will. What a reader does do is determine if there’s an article on the page, and give you the option to display it more cleanly for easier reading. Yes, the ads (along with other formatiing) do not appear in the reading pane, but they’re still in the background with the rest of the web page, and when you exit the reader in any way—which you have to do to get anywhere else—they’re displayed again. That’s a big difference. In fact, a reader cannot block ads; the page must load before it can even be invoked in the first place. No one accuses Readability, for example, of being an ad blocker. In fact, someone looking for an ad blocker would be extremely disappointed in the results if they tried to use one of these readers for that purpose. A showcase site from Apple. 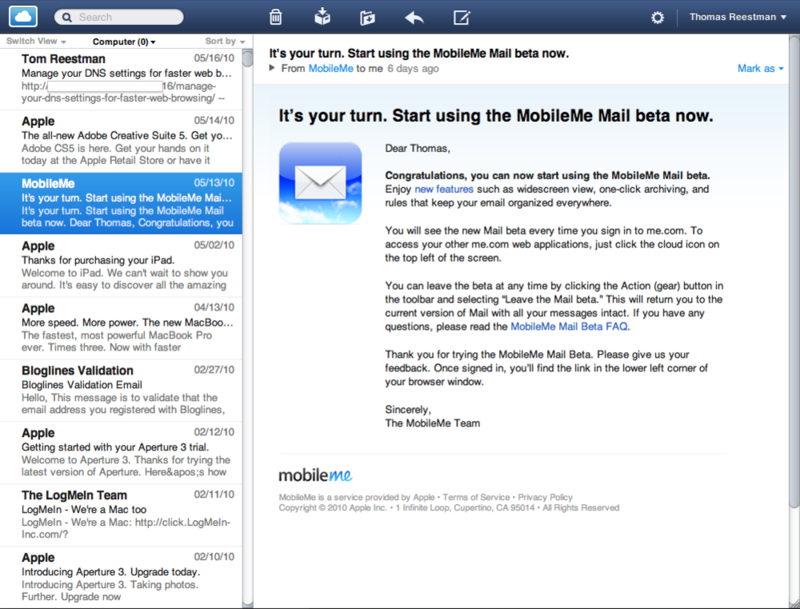 Thoughts on MobileMe Mail beta after one week. In-depth analysis of Google’s VP8. One worry is patent infringement. Emphasis in the original. The article is a geek read if ever there was one, but an interesting read nonetheless. I’d say Medialets’ findings of 133/49/17 for the iPhone 3G-os2/3G-os3/3GS match up very well with Apple’s reported results of 126/43/15. Apple’s numbers are a bit better, but not excessively so. It’s clear that all Medialets has done is confirm Apple’s stated speed claims in this area.